Castles in the sky – well not really. This is the real one. 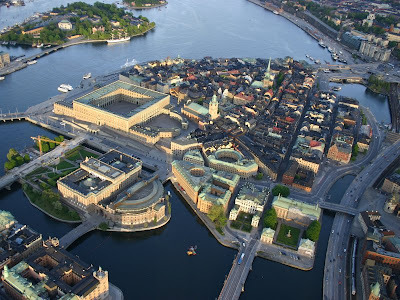 The Old Town from above including the Parliament (Riksdag, the rounded building on an island), the King’s castle (the big square) and at the very bottom of the picture is the floating sauna, another common sight during the summer. 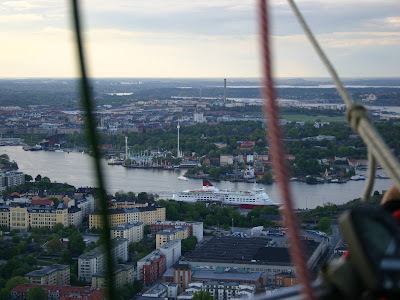 A view of Stockholm’s south and beyond is the amusement park Gröna lund (Green grove) and in between you can see the ferry leaving for Finland. The first shot is smashing, just look at that light from the setting sun.